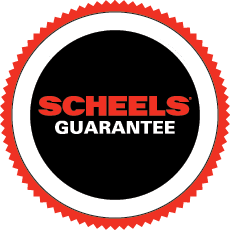 The SCHEELS in Appleton features boutiques ranging from technical running gear to the latest fashion sportswear. The athletic shoe, hiking boot, and casual footwear selection offers everything for toddlers to serious climbers, and selections ranging from beach sandals to fashion boots for women. Outdoor enthusiasts will experience world-class shops including golf, bike, ski, paddle, and sport and game shops. The gun and hunting shops have the largest retail selection of guns in the region, ranging from everyday shooters to collectible guns. Enjoy 24 flavors of homemade fudge and Starbucks coffee and specialty drinks.